People/Customs: Guatemala has a population of more than 16.5 million, (as of 2016), made up of many different people groups about 41% Ladino (mestizo), 11% K’iche, 8.3% Q’eqchi, 7.8% Kaqchike and a mixture of other Mayan and indigenous groups. Guatemala’s religious makeup is mostly Evangelical Christian and Roman Catholic, but there is also a Jewish population, as well as small groups of Muslims and Buddhists. Language: the official Language is Spanish, but several Mayan dialects are also spoken (Q’eqchi for example). English is taught in schools, but not commonly spoken. Climate: Guatemala is bordered by two oceans (the Pacific and the Atlantic) making it susceptible to hurricanes, volcanos and floods. Temperatures range from near-freezing at the highest altitudes, to a humid 90° on the Caribbean coast. 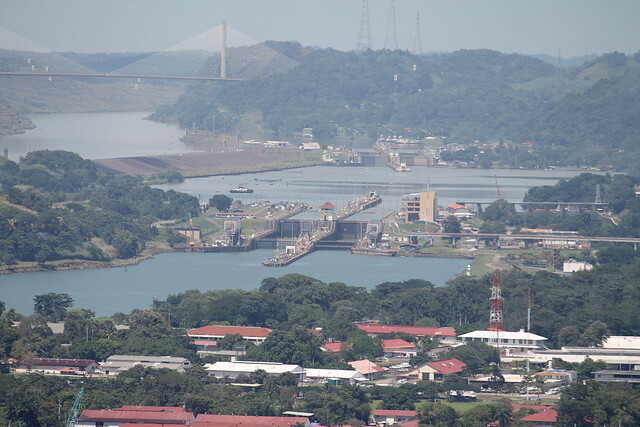 Guatemala has a dry season and a wet season (rain depends on altitude and region) and is in the hurricane zone, though Rio Dulce, which runs inland, is considered safe from hurricanes. Food/Farming: typical Guatemalan food consists of rice and black beans, some sort of meat (chicken, pork, beef, or fish), salad or cooked vegetables, fried plantains, and corn tortillas. The volcanic soil of Guatemalan highlands helps with the growing of tropical fruits (bananas, mangoes, pineapples, papayas, melons, etc.) and vegetables (lettuce, cabbage, carrots, tomatoes, potatoes, corn, and beans). Cattle, pigs, and chickens are raised for meat, and freshwater lakes provide fish. 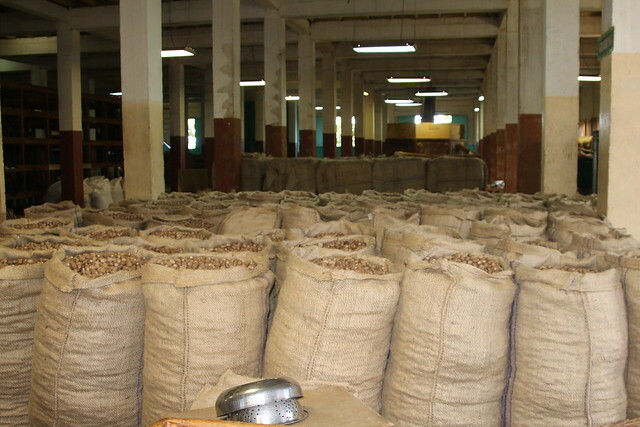 Guatemalan coffee of the mountain regions is exported all over the world. 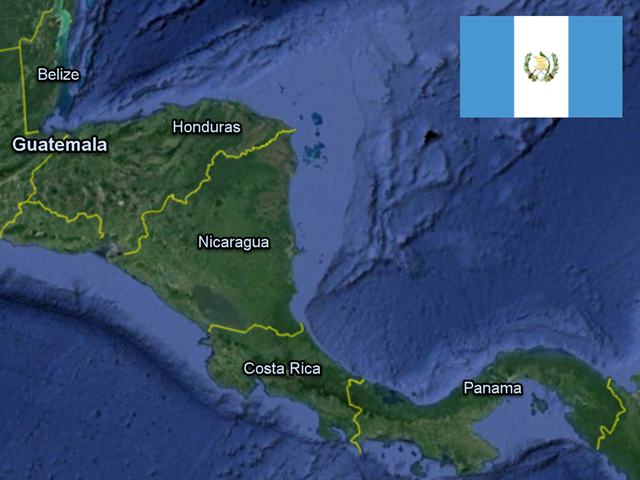 Government: Guatemala is a constitutional democratic republic with a president. Art/Music/Culture: the music in Guatemala was influenced by the Spanish settlers, the African slaves, and the Mayan natives. Some of the main musical types are nueva cancion, salsa and punta. Mayan musical instruments included drums, horns, and flutes, and a wooden xylophone called a marimba is still popular today. Carvings from wood, stone, and jade are common, and the markets in the mountain regions which sell colorfully-dyed and woven cloth are famous. As in Belize, the Mayan civilization plays a large part in Guatemala’s history. The Mayans were in Guatemala thousands of years before the Spanish conquered their land. It was an advanced civilization with a written language and a complex religion consisting of many different gods and spirits. The Mayans were expert builders and possessed advanced knowledge of mathematics and astronomy. They also believed in an afterlife where humans who were sacrificed continued the battle of good and evil. When the Spanish came to Guatemala in 1519, they tried to convert the Mayans to Christianity, but only succeeded in a limited way. As the Spanish settled in Guatemala, the Mayans were either killed, enslaved, or forced to flee to remote places. Many fought back, and many died of diseases brought from Europe. Since no gold or silver was found in Guatemala, the land and its people—as slave laborers—were exploited for tobacco, chicle, cacao, cotton, indigo, and cattle. Somehow, despite Spain’s three centuries of brutal rule, and continuing conflict with the Guatemalan government, their culture has survived until the present day. The first capital, Villa de Santiago de Caballeros was founded in 1527 (present-day Antigua). After flooding and earthquakes destroyed it in 1773, it was moved to its present location (Guatemala City). During the colonial period, power was concentrated with Spanish landholders and the Catholic church, and the subjugation and persecution of the Mayan peoples that began in this period continued into this century. In 1821, several Central American regions, including Guatemala, claimed their independence from Spain and formed a loose federation of states. In 1838, the Honduran and Guatemalan leaders of a liberal party invaded Guatemala, took over the government, and executed the head of state, beginning more than a century of violence and political strife as liberal and conservative factions fought for government control. After warring with neighbor states, Guatemala declared its independence as a nation in 1847, though border disputes persisted into this century. Coffee was brought to Guatemala by Jesuit missionaries in the mid-1700’s as a decorative plant but was not grown as an agricultural product until the mid-1800’s when the natural dye companies went out of business due to the invention of synthetic dyes. There are eight distinct coffee growing regions in Guatemala today and its coffee is exported all over the world. Jorge Ubico was a general in the Guatemalan army who was elected president in 1931 (in an election with no other candidates) during the Great Depression after José María Reina Andrade, Manuel María Orellana, Baudilio Palma, and Lazaro Chacón had all been deposed for separate reasons in the previous 2 years. Ubico was known by his efficiency and cruelty; he reinforced the police and military greatly and instated forced and slave labor. He was forced to resign 1944 after a series of violent uprisings. A new constitution was made which allowed all adults the right to vote and limited presidents to serving one term in office. Ubico’s successor lasted only one year. In 1945, Juan José Arévalo was elected and served a six-year term, survived 25 coup attempts, and established a social security system and health reforms. After Arévalo, a military leader, Jacobo Arbenz Guzmán was elected and made socialist reforms. Because he was friendly to the communist party and passed agrarian reforms which redistributed land to Mayan peasants, he lost the support of the United Fruit Company and incited the United States to get involved. Guzmán stepped down in 1953 before the CIA could mount an attack to depose him, and what followed was thirty years of economic and political troubles during which the constitution was revoked and the Mayans lost land holdings and civil rights. President Armas, supported by the United States, was shot by his own body guard in 1957. After much turmoil, General Fuentes took power, but was later overthrown when the U.S., fearing a communist revolution, backed a military coup and a new leader. The next several years saw constant change and conflict—with the military in charge of the government and guerrilla fighters representing the people involved in a bitter, decades-long civil war. Initially, the two sides were the FAR (Rebel Armed Forces) and PGT (Guatemalan Labor Party) against the MLN (National Liberation Movement), a right-wing organization aligned with the military and blamed for using political assassinations and death squads to silence opposition. Later, as the violence escalated, URNG (Guatemalan National Revolution Unity) and the EGP (the Guatemalan Army of the Poor), whose motto was “Long live the poor, death to the rich,” opposed the ESA (Secret Anti-Communist Army), FNO (National Opposition Front) and the government-sponsored PACs (Civilian Self-Defense Patrols). People were forced to either serve the government or join the guerrillas. Horror stories and human rights abuses were common during the war. In one case, villagers who came to a town meeting to resolve a land dispute (over a parcel near fruit shipping lanes owned by the president) were met by soldiers who shot over a hundred men, women, and children and buried them in mass graves that the army had dug the day before. The elections of 1990 were the first peaceful transfer of a civilian democratic government, and peace accords were signed in 1996. The thirty-plus year civil war cost hundreds of thousands of people their lives and land and created over a million refugees. Tens of thousands went “missing” (like school children abducted to serve in the army) and their whereabouts were never discovered. Some of those responsible (like Rios Montt, president in the early 80’s) were later charged for what amounted to genocide and “crimes against humanity.” Political turmoil, government corruption, and economic inequality are still common in Guatemala, where there is a huge gap between rich and poor, and the military protects the government instead of the people. Peace is tenuous, and there is always the threat of impending conflict. Despite that fact, Guatemala is a beautiful country with fruitful land, kind and friendly people, and a rich pre-Colombian history. Land forms/Flora and Fauna Guatemala is made up of volcanic mountains, cloud forests, rain forests, coastal plains, wetlands, and mangrove islands. On land you can find many different kinds of wild cat (like jaguars, panthers and mountain lions), tapirs, monkeys, coati, iguanas, snakes (including the infamous fer-de-lance), as well as domesticated animals like cows, horses, goats, pigs and chickens. In the air you can find many different species of macaw and parrot, toucans, oropendolas, hummingbirds, hawks, and vultures, as well as seabirds like pelicans, cormorants, sea gulls, and frigate birds. And In the water you can find several spices of freshwater fish like snook and white-fish, and on the coast, reef fish and sharks. There are pine forests, tropical forests, palm trees (like coconut palms), fruit trees like mango and papaya, ferns, air plants and hundreds of species of orchid. Things to do: Go zip-lining, kayaking, wake-boarding, hiking, swimming in water-falls and hot-springs near Rio Dulce and Lake Isabal, climb a volcano, visit coffee plantations, or find jade and fabrics in the markets of Antigua, visit the Mayan ruins of Tikal or Yax’ha in the Peten region, or visit the villages along the shores of Lake Atitlan. “BBC News Timeline: Guatemala.” News.BBC.co.uk. January 2019. Pavlidis, Stephen J. Cruising Guide to the Northwest Caribbean. “Republica de Guatemala.” 2014. Seaworthy Piublications, Cocoa Beach, FL. Language: English is the official language, but an English creole, Garifuna, Mayan dialects, and Spanish are also spoken. Climate: Belize has a dry season and a wet season and is inside the Hurricane zone (June-November). Cold fronts moderate the temperature and bring wind from North America during the winter and spring, and tropical waves bring heat and humidity from the Atlantic Ocean and Caribbean Sea during the summer and fall. Average temperatures in the coastal regions are between 75 and 80 degrees Fahrenheit. Food/Farming: typical dishes consist of rice, beans, cabbage or salad, corn tortillas, and some sort of meat (pork, chicken, beef, or seafood). The Fyffe’s fruit company exports Belizean bananas to Ireland and the U.K. Other tropical fruits like pineapples, oranges, and mangoes are grown in Belize. 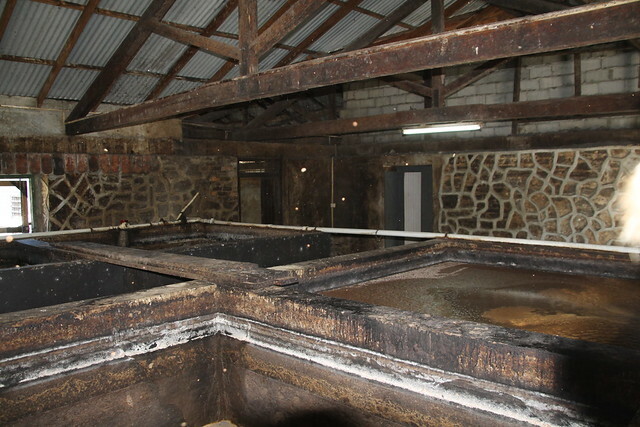 Cacao is grown and processed into chocolate. Coconuts are also common, and coconut milk is used for drinking and cooking. Sugarcane is grown for local use and export. Government: Belize became an independent state in 1821. Though it is no longer a British Crown Colony, the Queen is still the symbolic head of state of Belize, which is a parliamentary constitutional monarchy. The Prime Minister is the head of the government and there are two houses in the National Assembly, which makes laws. There is an independent judiciary and a Supreme Court for hearing serious cases. Currency: the Belize dollar (BZD), equivalent to about $0.50 USD. Art/Music/Culture: The culture of Belize is influenced by its many ethnic groups, among them the British, Spanish-speaking Mestizos, Mayan tribes, African slaves, Garifuna people, German-speaking Mennonites, and American expats. One popular type of music is called “punta rock,” a hybrid of soca, calypso, reggae, salsa and meringue. There are also traditional Garifuna drumming groups. Artisans carve wood and slate, make pottery, embroider cloth, make beaded necklaces, and weave baskets. The Mayan civilization plays a large part in Belize’s history. The Maya settled in Belize starting in about 1500 BC, and there were as many as 1 million people living in Belize during the late Classic Era of Mayan civilization (600-1000 AD). When the Spanish arrived in the early 1500’s, there were three distinct Mayan territories (each with its own dialect which persists to this day). The Mayans believed that the world was flat, and they believed in many different gods, so when the Spanish arrived, they tried to convert the Mayans to Christianity. They were largely unsuccessful, though some Catholic concepts were added into the Mayan religion. When the conquistadors arrived in Belize, they claimed it for Spain but did not develop settlements because of the lack of resources and the hostile Indian tribes of the Yucatan. In the 1600’s, the British wood-cutters started to come and settle the land. 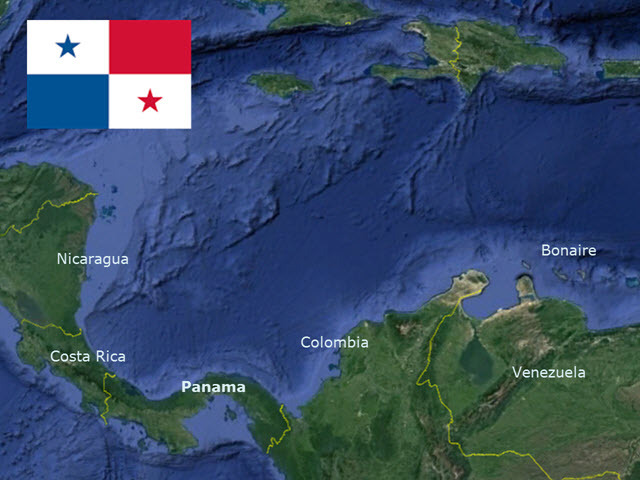 In 1763 and 1783, the Spanish granted land to the British wood-cutters but still retained sovereignty until 1786, when the British started to take control of the area that is now Belize in order to protect themselves from incoming Spanish settlers. In 1798, the Spanish sent a fleet to remove the British Baymen, English and Scottish settlers and pirates, using force, which resulted in the battle of St. George’s Caye. On September 3-5, the Spanish tried to barge their way through Montego Caye shoal, but were stopped by the British defenders. And on September 10, the Baymen repelled the Spanish fleet again in a short engagement with no known casualties. By the early 19th century the British sought to reform the settlers and abolish slavery, but because of social and economic limitations, the lives of the imported blacks changed little after emancipation in 1833, and they were still used as the labor force to harvest logwood, which was used in the dyeing of cloth, and Mahogany, a hardwood. 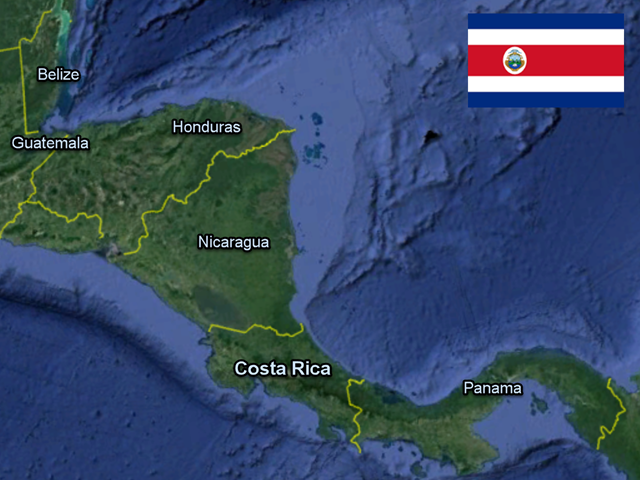 In 1836, Central America became independent from Spain and the British claimed the right to administer the area. It officially claimed Belize in 1862 as a British crown colony and renamed it British Honduras. In the years 1847-1853, many thousand Spanish-speaking people started to settle the area resulting in the Caste War in Yucatan, causing the Mayans to flee to the west and the north and allowing the Spanish-speaking refugees to colonize Belize. The Belize Estate and Produce Company dominated the politics and the economy for much of the late 19th and early 20th centuries, with British landowners holding half of the colony as privately-owned land. The economy collapsed after the Great Depression, when demand for mahogany went down. Soon after, there was a devastating hurricane, which worsened the economic situation. Unhappy with British management of the colony, the colonists began to demand independence. By 1964, a new constitution gave Belize full autonomy. In 1970, Belmopan replaced Belize city as capital and in 1973, British Honduras changed its name to Belize. 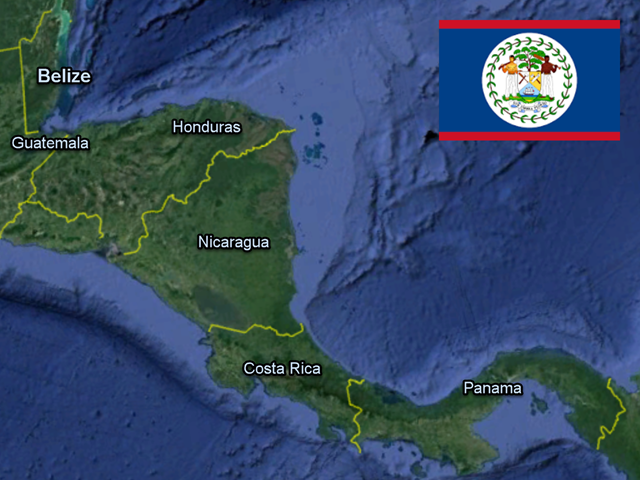 Belize claimed its independence from Great Britain in 1981, though it is still considered a Commonwealth nation. Guatemala, which had never accepted British control, refused to recognize that Belize was a sovereign nation until 1992, claiming that the entire country was actually part of Guatemala. The border disputes have been contentious and continue to the present day. Today, Belize’s reef, tropical islands, and rain forests make it a perfect vacation spot. 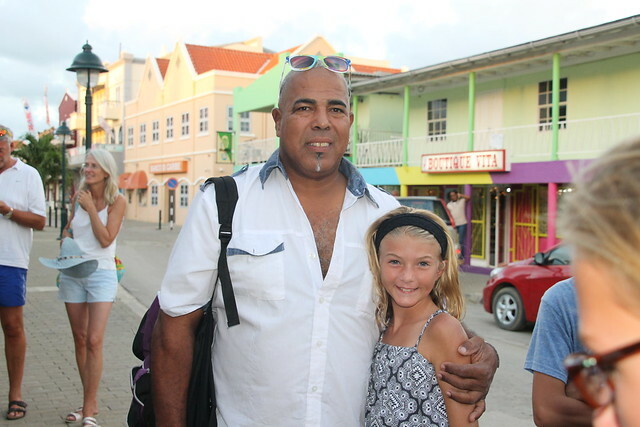 Many North Americans have migrated to English-speaking Belize and made it their home. In 2006, crude oil was discovered near Spanish Lookout, and Belize exports crude oil but imports diesel and gasoline, since it has no refineries. Belizean bananas and oranges are also exported around the world. Belize has a land area of 8,800 square miles, and the second largest barrier reef in the world. It also has hundreds of mangrove islands, barrier islands, and vast areas of marshy wetland. The Maya mountains have rivers and waterfalls and are covered in rainforest. On land you might find jaguars, the national animal of Belize, along with many other large cats, agoutis, tapirs, iguanas, and snakes. 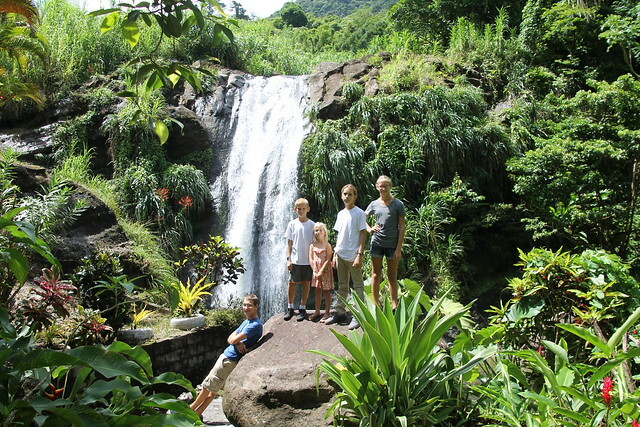 In the air you might see toucans, quetzals, sea-birds and many different species of parrot and macaw. In the water you might find whale sharks, tropical fish, turtles, and manatees. “Belize.” Wikipedia. June 28, 2018. “Belize: the Arts.” Encyclopedia Britannica. June 28, 2018. Rauscher, Freya. A Cruising Guide to Belize and Mexico’s Caribbean Coast. 2004: Windmill Hill Books, Madeira Beach, FL. Capital: George Town, Grand Cayman. People/Customs: The population is about 61,000. At the beginning of the 19th century, the Cayman Islands had a population of only 900 people, most of which were slaves. 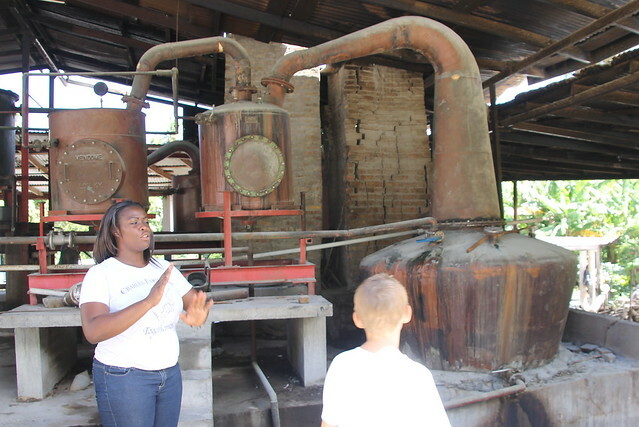 Today, there are still many descendants of those slaves, as well as an international community brought here by the banking and tourism industries. Climate: There is a dry season (winter/spring) and a wet season (summer/fall) and is in the hurricane belt (hurricane season is June 1 to November 30). Temperatures average in the mid-80s (Fahrenheit) all year. Food/Farming: The Cayman Islands’ traditional foods are fish and other seafood, turtle meat, goat stew, a fish stew called “rundown,” rice-and-beans, and gingerbread. They grow many topical fruits and vegetables: tomatoes, peppers, squash, callaloo, bananas, pineapples, breadfruit, papaya, and mango. Government: The Cayman Islands have a Governor appointed by Great Britain and a local government of elected lawmakers. They are a British Overseas Territory under the rule of the Crown. Currency: The currency is the CI Dollar, about 20 cents more than a U.S. Dollar. 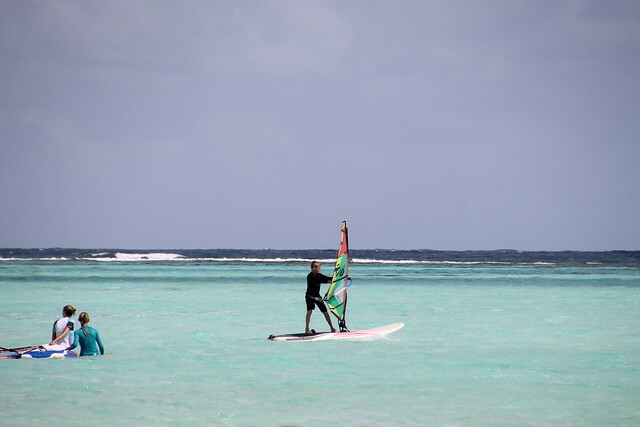 Art/Music/Culture: The Cayman culture is always changing because of the influx of people from all around the world, however, one thing remains constant: everyone spends time in and around the water. 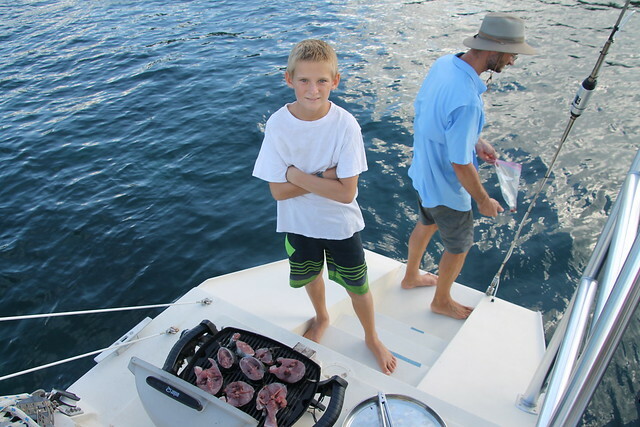 On Easter weekend it’s traditional to camp on the beach, on November 8th the Caymanians celebrate Pirates’ Week to commemorate the pirates in their history, and there are many fishing tournaments throughout the year. On the Island there are Baptist, Catholic, Church of God, Presbyterian and Seventh-Day Adventist churches. Everything is closed on Sunday in observance of the Sabbath. Local artisans carve jewelry out of a special stone called Caymanite, which is only found in the Cayman Islands. The music has both African and European roots, with heavy influence from Jamaica and Cuba. The Cayman Islands were found by Christopher Columbus in 1503 on his way to Hispaniola from Panama. His ships were blown off course and landed in the Cayman Islands. For centuries, the Cayman Islands were used as a supply-stop for Spanish sailors, explorers, and English privateers (and other pirates), looking for fresh water and turtle meat. The islands went through many name changes, but finally came to be known for the crocodiles which lived there, called “caymanas” by the Caribs. 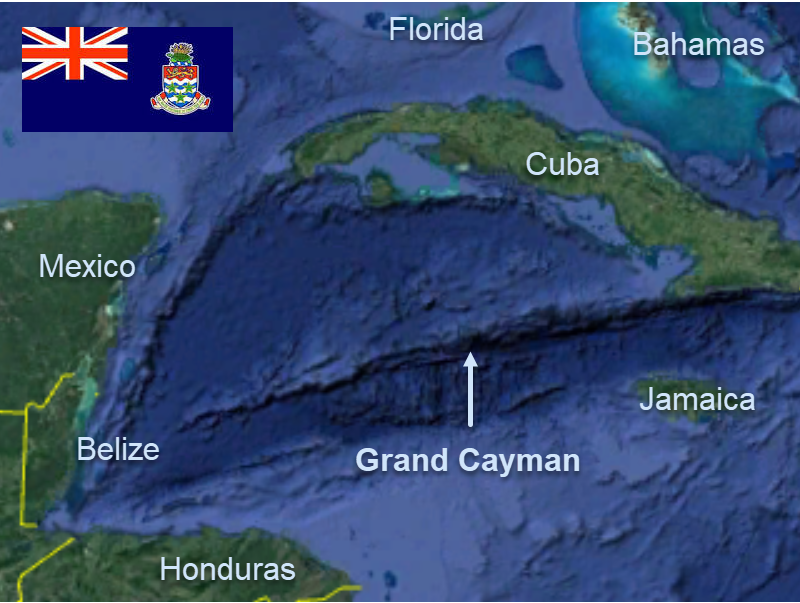 The Cayman Islands were not largely inhabited until the 17th century, when they came under British control. In 1655, Jamaica was taken from the Spanish by Oliver Cromwell’s army, but the Caymans were not officially British until a treaty was signed in 1670. Slaves were imported and settlements thrived. In the 1700s, Sir Henry Morgan, Blackbeard, and other pirates are said to have buried Spanish gold on the islands, but it has not been found. By the beginning of the 19th century, sailors started to venture to Jamaica for trading in Cayman-built ships. After the slaves were freed by the English in 1834, they settled in Grand Cayman and fished and turtled for a living. For the next one hundred years the islands stayed relatively isolated, though annexed to Jamaica. By the 20th century, the Cayman Islands were mostly settled, and the first cruise ship came to Grand Cayman in 1937, the same year the first booklet for tourists was published. In the 1950s and 60s, the first major hotels, resorts, and an airport were built, and the islands became known as a diving and beach destination. Jamaica became independent in 1962, but the Cayman Islands decided to remain a Crown Colony. Throughout Cayman’s history, the islands have experienced many tropical storms, but on September 11, 2004, when hurricane Ivan hit the Cayman Islands, it was devastating. The winds gusted up to 200 mph and created a storm surge of 30 feet. Much of Grand Cayman was submerged, but Cayman Brac and Little Cayman escaped with little damage. The islands have recovered, and they are still known as an international banking center and a beautiful vacation destination. The Cayman Islands are made of coral limestone, part of the Cayman ridge at the edge of the Cayman trench, located in the northwest Caribbean just south of Cuba. Cayman also has two sister islands, Little Cayman and Cayman Brac, both of which are made of coral and are mostly flat other than Cayman Brac’s east bluff which rises to 141 feet. The total land area is about 100 square miles. 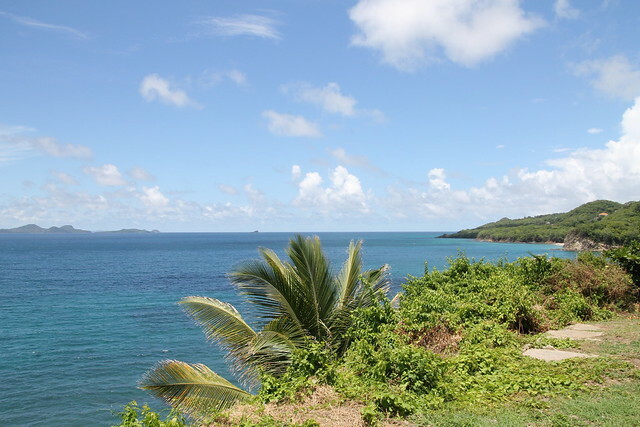 Plants on the island include tropical hardwoods, fruit trees, orchids, thatch palms, coconut palms, casuarina pines, tropical flowers, and mangroves. Blue iguanas and the Grand Cayman parrots are indigenous to the islands. They also have green iguanas, sea turtles, tropical fish, and sting rays. Despite the name of the islands, the caimans that once lived here were hunted to extinction. Swim with stingrays at Stingray Ciity, dive the Kittiwake wreck, go horseback riding on the beach, skate at the Black Pearl (the largest skate park in the Western Hemisphere), go to Star Fish Beach or Seven Mile Beach, hike the Mastic Trail, walk around the Queen Elizabeth II Botanical Garden and see the blue iguanas, snorkel with turtles at the Cayman Turtle Center, go deep-sea fishing, and take a night kayak tour in bioluminescent bays. Boxall, Joanna and Charles Grover, editors. Explore Cayman. Acorn Publishing, 2018. Pavlidis, Stephen J. A Cruising Guide to The Northwest Caribbean. Seaworthy Publications, 2014. 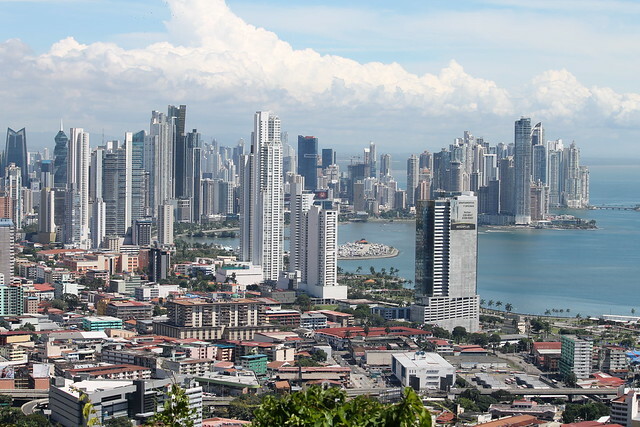 We had been planning to go to Panama City for a long time, and we were finally able to make the trip in November. 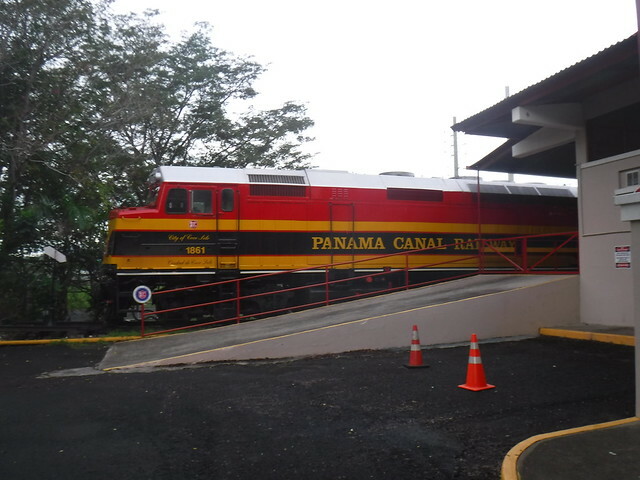 We took a taxi to the train station in Colón, but it turned out that it was a Panamanian holiday and the train did not run that day, so we had to take the bus. When I heard this news, I imagined a “chicken bus,” crammed full of people and animals, speeding down winding mountain roads. But the bus was not at all what I had imagined. It was big, with comfortable, spacious seats, so that even though the bus filled up, you couldn’t really tell. It was air-conditioned—a little too air-conditioned, actually, and the road and driver were reasonably good. It took about 2 1/2 hours to get to Le Meridien, our hotel, including traffic and taxi rides. When we checked in it was about 6:00 p.m. and already dark. We went up to our adjoining rooms on the fourth floor and decided to have Papa John’s deliver pizza. After we ate the pizza on the sixth-floor terrace, we went back to our rooms, called the day a success (other than the not-train-ride) and went to bed. The next morning, we decided to go downstairs and across the street to a small café for breakfast. After we ate, a taxi driver named Ariel took us to the museum of the History of the Panama Canal in Casco Antiguo, the old city. When we left the museum, it was about 11:00 or 12:00 o’clock, so we walked around town to just look around and see what’s what. 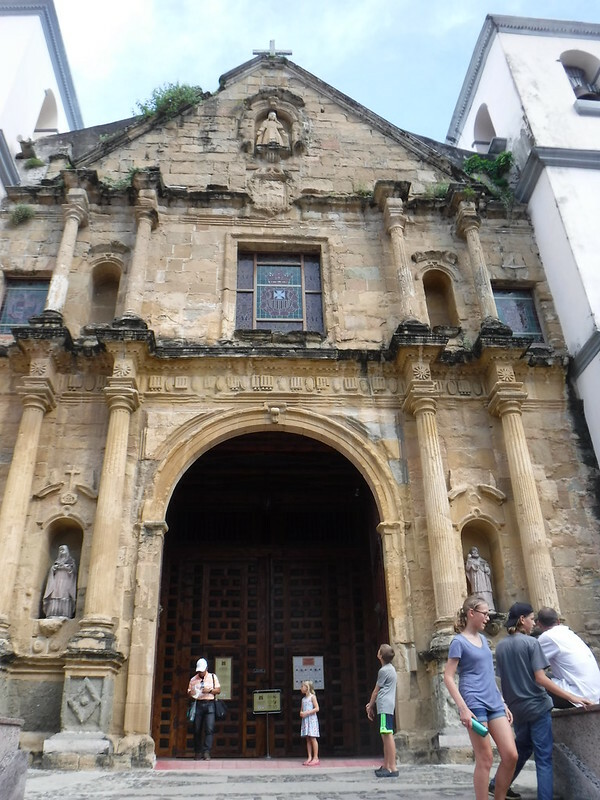 We stopped for cold drinks, then found the Iglesia de La Merced, a 17th century Catholic church which had been moved stone by stone to its present location (it had not been burned when the pirate Henry Morgan set fire to Panama City). Then we walked around for another half hour or so, and found a restaurant called Pip’s. The food was good, but the service was not great (as in not getting exactly what we ordered). We called Ariel to take us back to the hotel. It was about 5:30 when we got back. Mom and Dad went out on a date while we kids watched a movie and went to bed. The next morning, we called a driver named Luis (a very nice guy) to take us in his van on a city tour. 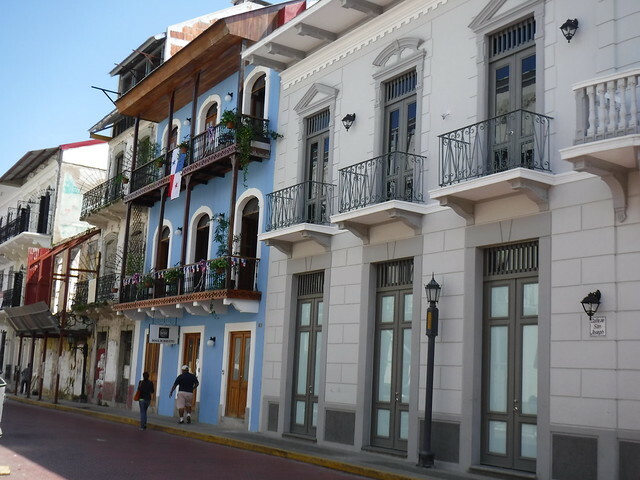 He took us to breakfast at a local place, called El Trapiche, then to see the canal locks, Ancon Hill, Flamenco Island, and the Baha’i Temple. 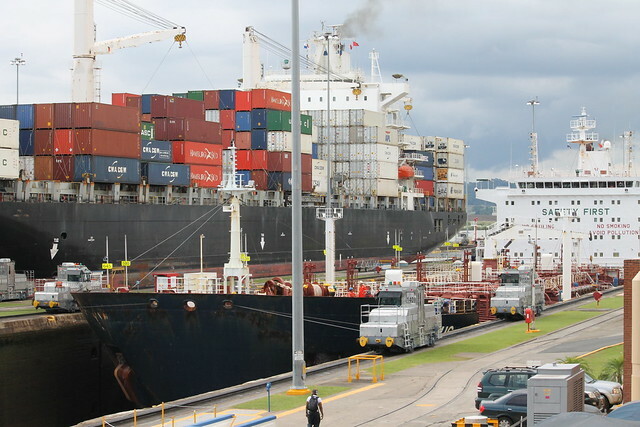 At the Mira Flores Locks, we went to the visitor’s center and the observation deck to see a container ship exit the locks on the Pacific side. 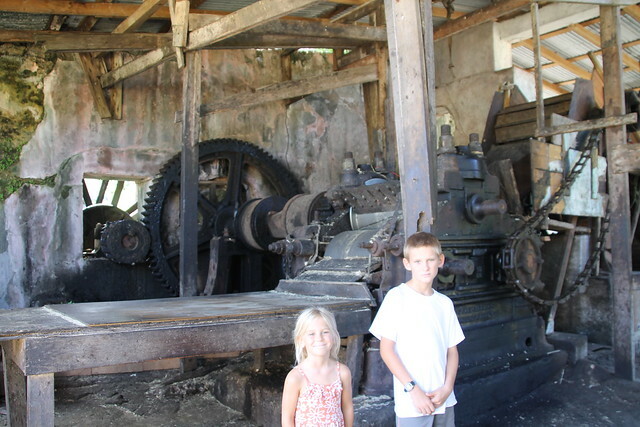 In the visitor’s center, there are exhibits and artifacts about the history of the canal. Ancon Hill was the site of the old Canal Hospital, but now it is a nature hike with a great view. It was a 45-minute hike to the top, but the view was more than worth it. As we were walking down, we found an injured sloth that had fallen out of a tree. Luis picked it up and carried it, until a family with a toddler let us borrow their stroller. The little boy gladly gave up his stroller to save the sloth! 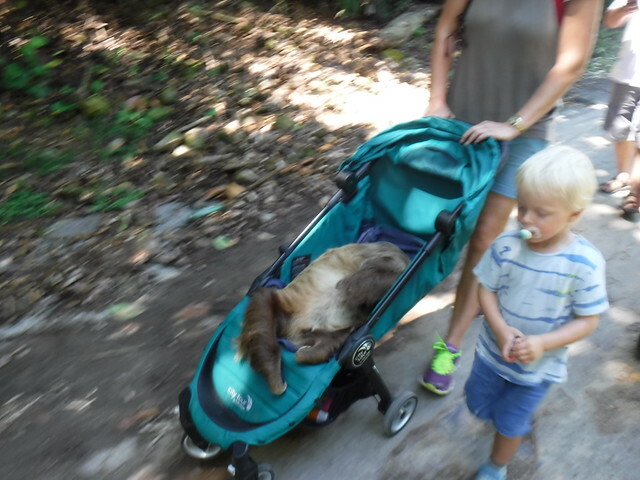 At the bottom of the hill, we loaded the sloth into the van and gave the stroller back to the family. Next, Luis drove to the Smithsonian Institute on Flamenco Island to see if they could take care of the sloth. They sent us to the National Park, where we dropped it off. We stopped for lunch, then Luis took us to the Ba’hai temple outside of the city on a tall hill, where we got another great view of the city. We returned to the hotel around 5 o’clock to rest before dinner. We then took two taxis to Pomodoro, an Italian restaurant. We had been told to watch out for Panamanian taxi drivers because they always get lost, and both drivers had to stop for directions to find our restaurant! It all ended well, and the next day would be our last in the city. We all woke up the next morning to the sun shining through the big glass windows around 7:00 a.m. We called Luis to take us to the mall to do some shopping before we left the city. We were planning to stay for several hours to find what we needed, so we wandered around until we found a Conway department store. We spent a couple of hours there, looking for clothes and shoes, then headed toward the food court. We found a music store, then had some lunch (Wendy’s and Subway). After lunch, Dad, Rachel, and I took a taxi back to the hotel because we had what we needed and didn’t want to wander around all day. I cannot tell you about any of the other events that day because I was not there, so I will skip right to dinner. We walked around the city near our hotel (in the rain) until we found a restaurant called “The Ozone Café,” which served dishes from many countries of the world. It was very interesting and delicious. When we got back to the hotel, we packed our bags and prepared for the return trip in the morning. The next morning, we got up at 5:30 a.m. to meet Luis, who drove us to the train station and we got there just in time for the morning train to Colón. We boarded the train and were on our way. 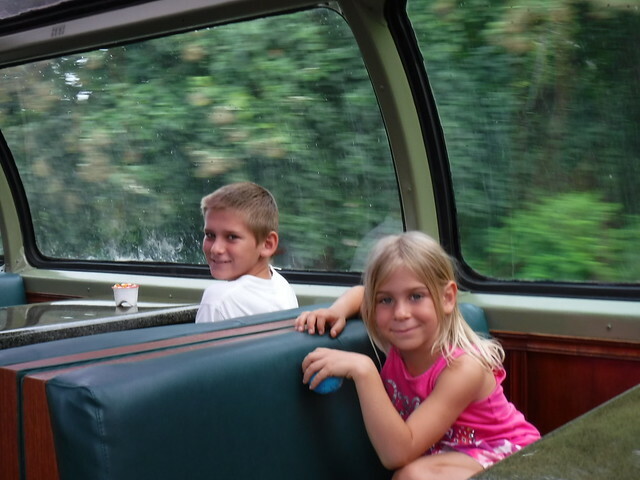 We sat in the observation car, which had a glass dome, and had snacks. 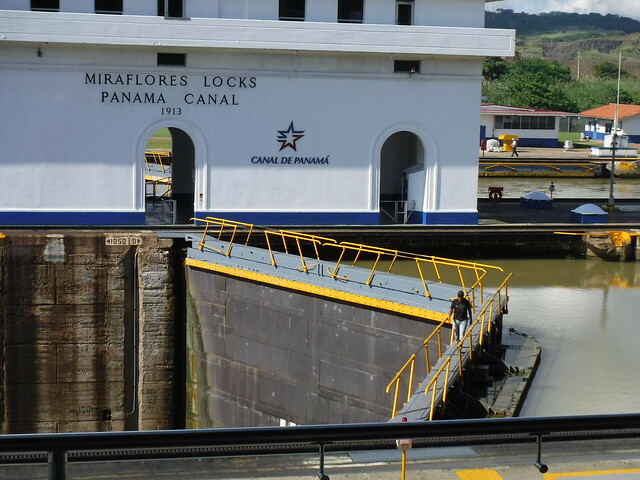 As the train moved along, we got glimpses of the canal locks, and ships in Lake Gatun. When we got back to Colón we took a taxi back to the marina and got there around 9 o’clock. I think the trip was a success and that we made some good memories. 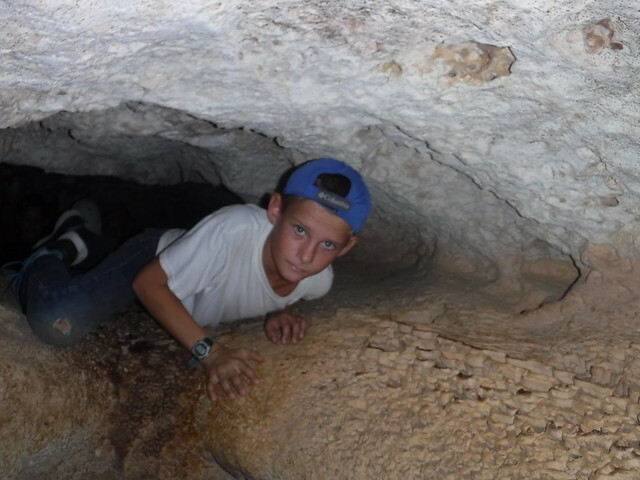 On December 5th, our new friend Cliff took us to explore some caves on Bonaire to celebrate Sky’s 11th birthday (s/v Abby Singer). 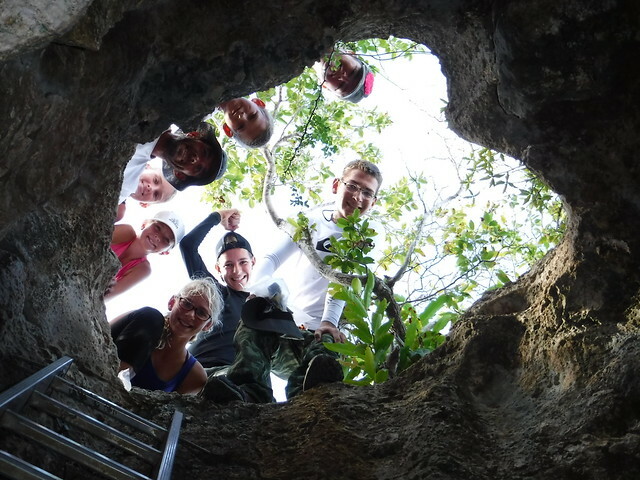 For the first cave, we had to climb down a ladder, crawl through a tunnel, and then we could stand up. It was hot, and the oxygen was low because it was so far back in the cave. You could go back even further, but we were not allowed to. When we turned all the lights off it felt like we were blind, then when we climbed out, it seemed so bright! Before we got in the truck, we saw a wild parrot; it was very pretty. The next cave was a tunnel with bats and a very small exit. The third cave was the cave with the swimming. 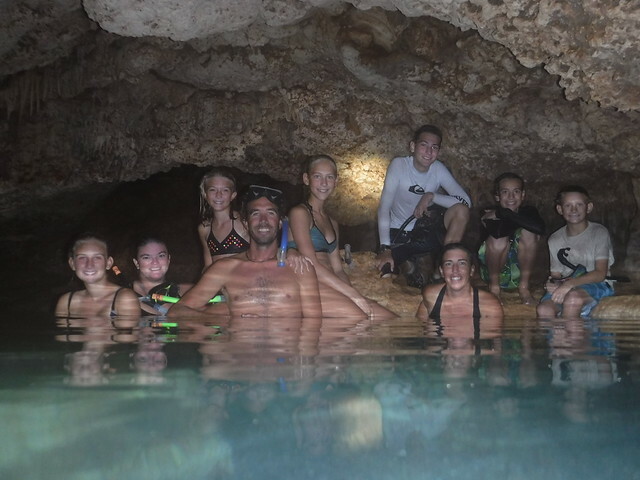 We climbed down into the cave, but when we got to the water we could barely see it, it was so still and clear. We snorkeled into the first chamber using dive flashlights to see, but to get to the other chamber in the cave, we had to swim about 4 ft. down and 12 ft. forward. When we got to the other side, there were more rocks and stalactites, and there was an underwater pit that we could swim down into. After the caves, we went to the windsurfing beach at Lac Bay. We got burgers at the beach bar, then rented windsurf boards. The day ended with panini and gelato at Luciano’s. It was a lot of fun and I had a great day. We caught a barracuda on the way to Carriacou, but it was too small to keep so we had to throw it back. 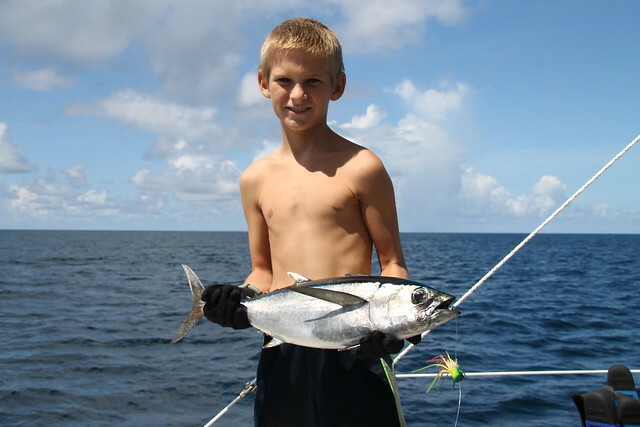 A few days later, we caught a blackfin tuna on the way to Bequia. I think he was about 12 pounds. He fed all 7 of us—tuna steak for lunch! We grilled it and served it with lemon and an Asian aioli that Mom made. In our fish-catching history, we have caught two Mahi, several barracuda, and now, finally, a tuna. It is almost as good as swordfish, in my opinion.